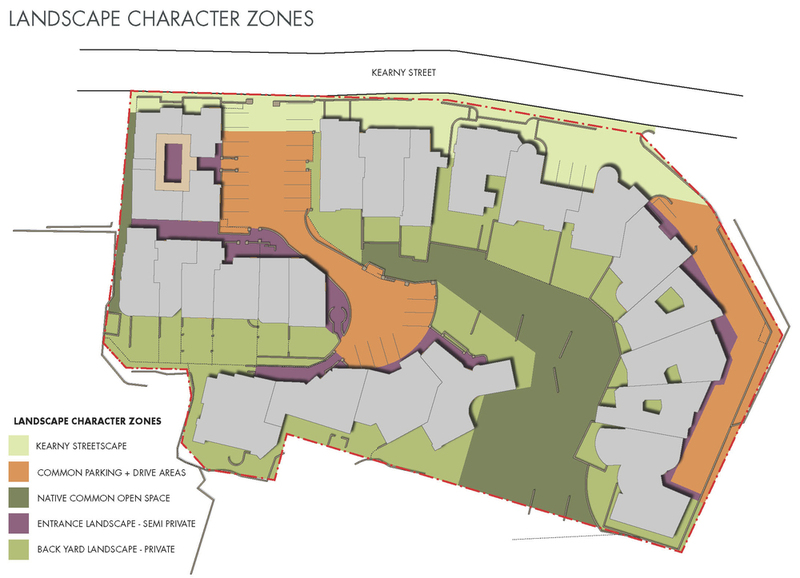 The Alma Landscape Master Plan and Design Guidelines provided the Home Owners Association (HOA) and each of its homeowners with information which will improve the level of design quality, visual consistency and sustainability throughout the Alma Compound. The analysis and recommendations contained in the document Surroundings created will serve as guidance to the HOA for Common Open Space improvements as well as to individual homeowners in their Limited Common Areas. This will provide guidance regarding landscape plantings, hardscape materials including paving, signage, lighting and water conservation. The primary objectives of the Master Plan and Design Guidelines were to ensure that the real estate investments made by each owner at Alma Compound are optimized and enhanced by maintaining a quality and excellence in the exterior environments of the Compound. Additionally, the document will assist the Compound in improving water conservation and energy efficiency as future improvements are implemented. The first phase of the project that has been constructed focused on unifying three separated entrances into each level of the compound with site walls, surface materials, signage, lighting, and planting.